Established in the year of 2002, we "Josch Systems Pvt. Ltd." are listed among the most reliable and trusted organizations engrossed in manufacturing and trading a wide assortment of Power Tools. Our product portfolio is inclusive of Angle Grinders, Marble Cutter and Wall Chasers. We have attained wide appreciation of our customers by providing them products of unparalleled quality. These products are designed and manufactured in compliance the industry laid standards and are highly acclaimed for their precise design, durability and optimum quality. We ensure to our patrons that the offered assortments of products are quality tested against the various quality parameters by our quality experts. We have developed a state-of-the-art and modern infrastructure unit, which is spread over a vast area at our premises. We have streamlined our processes to assure the achievement of maximum possible functional efficiency. To handle our facility efficiently, we have select a team of professionals, which is maintain on the timely delivery. These personals are expert in their respective fields and are working with full concentrationtowardstheirgiven work. With the valuable assistance of our CEO Mr. Achut V. Hegde, we have attained such a remarkable position in the market. Owing to his management skills, business acumen and regular motivation, we are able to cater our valuedpatronsneeds in timely manner. Our organization has been able to establish a firm foothold for itself in the industry within a short period of time. Our highly qualified professionals put sincere efforts to understand the varied requirements and needs of our prestigious customers and prepare our offerings accordingly. Also, with the constant support of our distribution network, we have been able to deliver the offered products within the requested frame of time upholding superior service levels. Having a network of over 500+ dealers we count on the strength of our channel partners to make Josch''''s products available to the deepest hinterlands of India. Focus on maintaining long term relationships with the customers. Our infrastructure is spread over a huge footprint of 5 acres of Industrial Land. Our factory and distribution center is equipped with all the modem tools needed for manufacturing, assemblying, warehousing, and packaging of industrial goods. We have developed well-synchronized functional divisions such as the manufacturing unit, procurement unit (raw material), warehousing unit, packaging unit, quality control department, and administrative department for reliable and hassle free functioning. We regularly upgrade our facility to incorporate the latest technologies and to improve inhouse efficiencies. Quality is a vital factor that has helped us in attaining a desirable position in the industry within very short period of time. Products offered by our company are free from any defect and quality approved, therefore become the foremost choice of vast clientele. Furthermore, our entire range is subjected to thorough quality control tests that are performed by an experienced QC team. We are supported by a qualified team of young and ambitious professionals, who manage an entire gamut of business related operations from Sales & Marketing to Product & Distribution. Our team has been nurtured through our development programs and are given a taste of each division before settling down to become part of a specific division. We strive to develop a productive work environment in order to enable maximum progress for our professionals. Several training seasons and seminars are conducted round the year in order to polish the skills of our team members. Since our inception and entry into this domain, we have always tried to deliver superior and more than satisfactory tools to our valued patrons. Our products are designed and manufactured by utilizing the finest quality raw material as per the industry defined norms and standards. To meet our customers'' requirements in the best possible manner, we offer our products in various specifications and continuously indulge in R&D to improve the offerings in our portfolio. 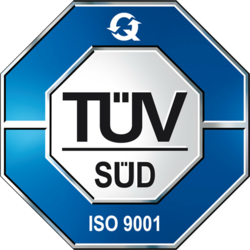 Josch is an ISO 9001:2008 Certified Company.